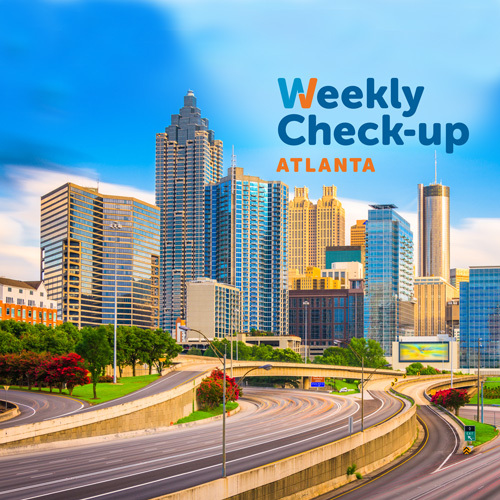 Dr. Kimberly C. Hutcherson is Director of Women’s Imaging at Gwinnett Breast Center at Gwinnett Medical Center, in Lawrenceville, GA and an associate with North Metropolitan Radiology Associates, LLP. Dr. Hutcherson is a self-professed Air Force brat prior to the 5th grade, when her family moved to Andalusia, AL. While in Andalusia, she was involved in many school and community activities. She was awarded many academic honors and was voted “most likely to succeed” by her peers. While in high school, Dr. Hutcherson participated in the scholarship program Junior Miss Pageant. She placed first-runner up to Covington County’s Junior Miss in1984 where she receive scholarships to attend her college of choice, Birmingham-Southern College in Birmingham, AL. Dr. Hutcherson entered Birmingham-Southern College (BSC) in 1983 as a member of the prestigious summer’s scholar program. After graduating high school with honors, she officially entered BSC in 1984. She was consistently on the Dean’s List for academic excellence. After graduating from Birmingham-Southern College in 1988, she performed research at the Alabama Sports Medicine Clinic in Birmingham, AL. In 1989, she entered Meharry Medical College where she excelled in and nurtured her strong interest in anatomy and physiology. In May 1993, she received her medical degree and was accepted early into the diagnostic radiology residency program at the University of South Alabama. After completing a transitional year of medicine at Baptist Medical Centers in Birmingham, AL, she entered her 4-year radiology residency at the University of South Alabama in Mobile, AL. Dr. Hutcherson became a Diplomat of the American Board of Radiology in June 1998. Upon completion of residence in 1998, she entered a Women’s Imaging Radiology Fellowship at Magee Women’s Hospital at the University of Pittsburgh. Dr. Hutcherson joined North Metropolitan Radiology Associates, LLP in 1999 where she has provided her level of expertise for the past 11 years. She has been a consultant and preceptor with Ethicon Endo-Surgery, Inc. a division of Johnson and Johnson, Mammotome breast biopsy device from 2003 to 2010. Devicor Medical Products, Inc., acquired Mammotome in 2010. Devicor Medical has recognized Dr. Hutcherson as an innovator and leader in the battle against breast disease. Devicor has invited Dr. Hutcherson to be a member of the Clinical & Strategic Advisory Panel of 2010-2011. Dr. Hutcherson was chosen as a “Gwinnett Diva” 2009 and was featured in Gwinnett Magazine September October 2009. Dr. Hutcherson was chosen as guest speaker of the “Hope Fashion Show” 2010 in support of the American Cancer Society and Gwinnett Medical Center/Chamber of Commerce Breast Cancer Awareness Event 2010. She was an Honorary at the Gwinnett ACS Dance with the Stars 2010. Dr. Hutcherson was the Key Note Speaker at this year’s Gwinnett ACS Dance with the Stars 2011. 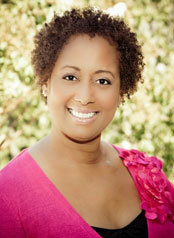 Dr. Kimberly C. Hutcherson not only diagnoses breast cancer, she is a four-year breast cancer survivor. Most breast lumps felt are not cancer. They could by cysts or a benign condition called fibrocystic changes or fibroadenoma. Lumps could also be pre-cancerous conditions that will need some treatment. But don’t let these facts lull you into complacency. All lumps should be checked thoroughly. Myth: My mammogram was normal, so I don’t have to worry about breast cancer. While mammography does catch the vast majority of breast cancers, it is only one screening tool. Women should also have a breast exam done by their health care provider each year. If you feel a lump, always get it checked out, even if your last mammogram was clear. Also, it’s important to get a mammogram every year. Doctors will look at previous years’ mammograms to assess changes in the breast over time. Myth: Mammograms are very painful. Every woman is made differently, but the amount of time the breast is in compression is less than 15 seconds. Some physicians recommend taking over-the-counter pain medication prior to the procedure. If you are concerned about the pain level, you should discuss it with your physician. Myth: Knowing you have changes in the BRCA1 or BRCA2 gene can help you prevent breast cancer. While alterations in these genes in men and women can predispose an individual to an increased risk of breast cancer, only 5% to 10% of patients actually have this mutation. This is not an absolute correlation. Like your age or having a family history of breast cancer, it’s a factor you just can’t control. But you can let your physician know, perform regular breast self-exams, and focus on the fact your chances of not having this disease are greater than 90%. Myth: Antiperspirants and deodorants cause breast cancer. A mammogram, or X-ray of the breast, is one of the best tools available for the early detection of breast cancer. It CANNOT cause cancer to spread, nor can the pressure put on the breast from the mammogram. Do not let tales of other people’s experiences keep you from having a mammogram. Base your decision on your physician’s recommendation and be sure to discuss any questions or concerns with your doctor. Myth: Breastfeeding will increase the risk of getting breast cancer. Just the opposite is true. Breastfeeding may actually decrease the risk of perimenopausal breast cancer. Myth: Underwire and ill-fitting bras can cause breast cancer. Myth: Birth control pills cause cancer. Birth control pills do contain small amounts of estrogen, however the amount is so small, it is not even a factor in breast cancer development. If you have any concerns about the use of oral contraceptives and breast cancer, please talk to your physician. Myth: There’s no history of breast cancer in my family so I won’t get it. “That’s not true,” said Dr. Marisa Weiss, an oncologist and the president of breastcancer.org. Although women with a family history are at a higher risk for the disease, environmental factors, drinking, smoking, medication and diet can all influence a woman’s chances of getting breast cancer. Knowing the history of breast cancer on both sides of your family is also important. Just because a woman doesn’t have a history of breast cancer on her mother’s side, doesn’t mean she’s at a decreased risk. A paternal family history of breast cancer also increases a woman’s chances of getting it. Myth: I have breast cancer, so I have to get a mastectomy if I want to stop the spread and prevent the cancer from coming back. Specifically, Zuckerman said that about 75 percent of the women who get breast cancer each year will not need mastectomies. Many women with stages 0, 1 or 2 breast cancer respond well to treatment that includes a lumpectomy with radiation and chemotherapy, she added. "Women with early stage breast cancer usually do not need a mastectomy and will benefit from chemotherapy almost always," said Zuckerman. "Women who get a lumpectomy will need radiation and that’s the difference. Women who get a mastectomy will not need radiation, but with a lumpectomy you always need radiation." Both Weiss and Zuckerman agree that this also is not true. Women older than 50 are most at risk for this disease, explained Zuckerman. “Breast cancer in women younger than 30 is so rare, and this is one of the things that concerns me,” she said. “I think the media focuses on young women, because it’s so shocking when someone in their 20s gets cancer. But what you end up with are women in their 20s and 30s who are terrified that they’re going to get cancer and women in their 50s who think they don’t need to worry about it, when the opposite is true." Of the nearly 200,000 women who will get breast cancer next year, half will be over the age of 61, said Weiss. About 25,000 women will be under the age of 40. “It’s still a significant number, but when you compare it to the overall number of women who get breast cancer, it’s a small percentage,” she said. “Breast cancer is not fatal in and of itself,” said Zuckerman. “What makes it fatal is if it goes into other parts of the body and gets into the lymph nodes, lungs and other organs,” she said. Zuckerman said early detection is the best way to prevent cancer from spreading.